Former Deputy National Chairman (South) of Reformed All Progressives Congress (R-APC )and a close ally of Rabiu Musa Kwankwaso, Chief Sam Nkire has congratulated Alhaji Atiku Abubakar over his emergence as the Presidential candidate of the People’s Democratic Party PDP for 2019. Nkire who spoke in a chat with the Media, on Monday, said that the wide gap between Atiku Abubakar and his closest rival was an indication of the huge acceptance he had in the party and by implication, Nigeria. He further said that Abubakar’s emergence as PDP’S flag-bearer, without doubt, had in the last 48 hours, had an effervescent effect on the political climate of the world’s largest black nation. According to the PDP chieftain,” with Atiku stepping into the ring, there is no need telling the APC that the game is up and that it is time to stop, park and go”. 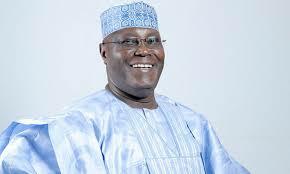 Nkire said: “Atiku is one of the few capable leaders Nigeria has been waiting for. Atiku is focused and courageous and has got a plan in his hands”. The Abia State-born politician added that the 2019 general election was a foretold political debacle the All Progressives Congress APC could not escape, given the degree of its betrayal of public trust, inability to protect lives and property; and its misuse of public institutions such as the INEC, the military and the police, for the single purpose of keeping itself in power. He said he was confident that Abubakar would not make the same mistake President Muhammadu Buhari made by declaring all those who contested against him, political enemies.